South Bay leaders gathered Wednesday to assure voters in Santa Clara County that their voting process will be accurate, with no tolerance for intimidation at the polls. The assurances come after Republican nominee Donald Trump began suggesting voter fraud and intimidation nationwide. The Santa Clara County Registrar of Voters on Wednesday allowed NBC Bay Area in the room where workers test electronic voting machines prior to an election. The access is an effort to promote transparency and to prevent voters from being intimidated at the polls. "We have a fair, accurate, impartial voting system," County Executive Dr. Jeff Smith said. The Registrar of Voters then took news crews to another building, where electronic voting machines are being tested for accuracy. The registrar said cameras have not been allowed in the building until Wednesday, but only for a few minutes. The unprecedented show and tell is an effort to put voters at ease. 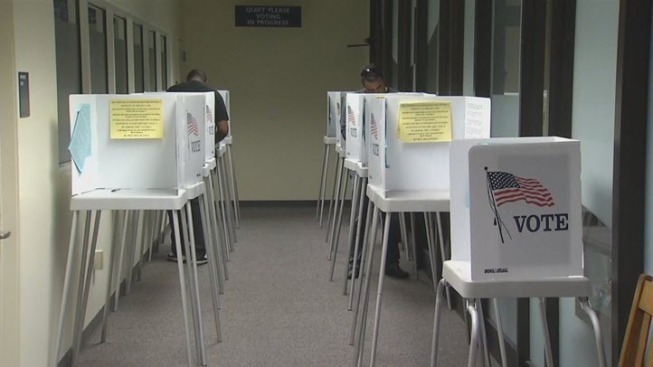 "While the suggestion of voter fraud is completely unfounded, we don't take it lightly," said David Cortese, Santa Clara County Board of Supervisors president. The county also said it does not expect voter intimidation. But after national rumors and the Trump rally melees in San Jose earlier this year, the county said it will keep a watchful eye and will be ready to respond at a moment's notice. "Here in Santa Clara County, we're going to make sure polling places are safe and comfortable, and not intimidating as they've ever been," Cortese said. The registrar expects at least an 80 percent voter turnout.